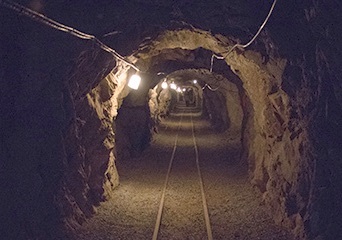 Our team qualified to the STIX event of DARPA SubTerranean Challenge. We plan to go to all phases of the system track. This entry was posted in News and tagged subt on January 23, 2019 by Tomáš Svoboda. CRAS participates on large scale project Research Center Informatics, RCI where it constitutes the Robotic chapter. This entry was posted in Projects on September 4, 2018 by Tomáš Svoboda. CRAS members were quite successful in publishing latest results. Miloš Prágr, Petr Čížek, Jan Faigl: Cost of Transport Estimation for Legged Robot Based on Terrain Features Inference from Aerial Scan, IROS 2018. Petr Čížek, Jiří Kubík, Jan Faigl: Online Foot-Strike Detection using Inertial Measurements for Multi-Legged Walking Robots, IROS 2018. Petr Váňa, Jakub Sláma, Jan Faigl: Any-time Trajectory Planning for Safe Emergency Landing, IROS 2018. T. Krajník, F. Majer, L. Halodová, and Tomáš: Navigation without localisation: reliable teach and repeat based on the convergence theorem, in IROS, 2018. F.Arvin, A.E.Turgut, T.Krajnı́k, S.Rahimi, I.E.Okay, S.Yue, S.Watson, B.Lennox: ΦClust: Pheromone-based Aggregation for Robotic Swarms, In IROS, 2018. Martin Pecka, Karel Zimmermann, Matěj Petrlík, Tomáš Svoboda. Data-driven Policy Transfer with Imprecise Perception Simulation. L Kunze, N Hawes, T Duckett, M Hanheide, T Krajnik: Artificial Intelligence for Long-Term Robot Autonomy: A Survey. We also got an oral presentation at ICCV2017, arguably the most prestigious computer vision conference: K. Zimmermann, T. Petricek, V. Salansky, T. Svoboda. Learning for Active 3D Mapping. arXiv PDF, DemoVideo. This entry was posted in Papers on August 11, 2017 by Tomáš Svoboda. Karel Zimmermann successfully defended his habilitation thesis if front of the scientific council of the Faculty on May 10, and became Associate Professor. This entry was posted in News on May 31, 2017 by Tomáš Svoboda. 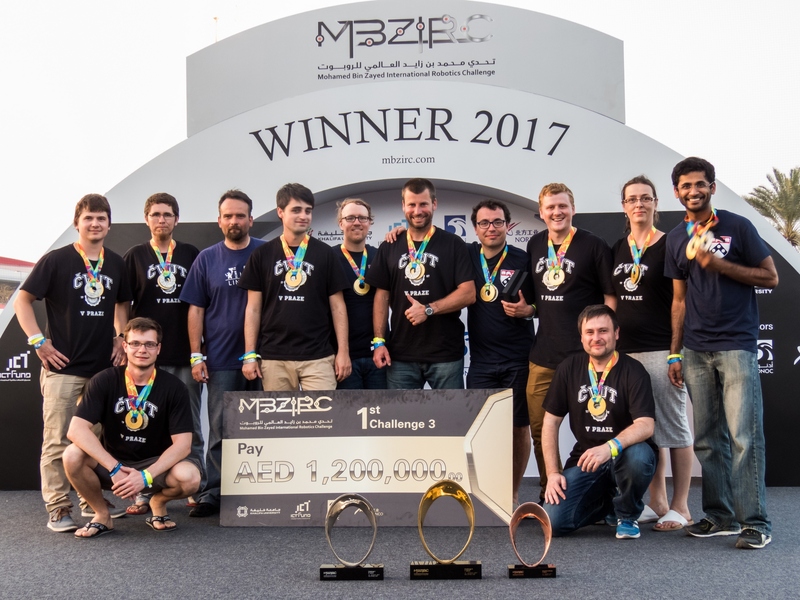 Our team (also Uni Lincoln and UPenn involved) led by Martin Saska won the Mohamed Bin Zayed International Robotic Challenge (MBZIRC) – Challenge 3 that required a team of UAVs to collaborate to search, locate, track, pick and place a set of static and moving objects. The team also took 2nd place in Challenge 1 – landing on a moving platform and 3rd in the Grand Challenge – after joining University of Padua. This entry was posted in Event, News on March 21, 2017 by Tomáš Svoboda. K. Zimmermann. 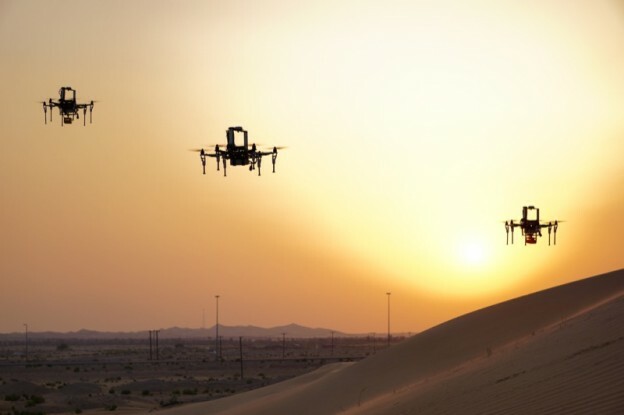 Robust motion planning and control on rough unstructured terrain. This entry was posted in Projects on November 30, 2016 by Tomáš Svoboda. This entry was posted in Projects on December 1, 2015 by Tomáš Svoboda. This entry was posted in Event on November 23, 2015 by Tomáš Svoboda. Talk on Humanoid robots: platforms for modeling human cognition and versatile test-beds for robotics and machine learning research, Sep 17, 2015, KN:G-205. Matej will hopefully join CRAS in 2016 and complement our expertise by bringing his background on humanoid robotics and human cognition. This entry was posted in Event on September 17, 2015 by Tomáš Svoboda.